It is interesting to note that Indian Sub-Continent has remained, very nearly, the land bordered by the Himalayas to the north, the Indian Ocean to the south and the great rivers the Indus and the Ganges on either side. Many of the modern maps of the Indian Sub-Continent area came from traders travelling to the Moghul empire in the early 16th century. Traders sketched small-scale maps of the India Intra Gangem—the land between the Indus and Ganges rivers as the map below shows along with the earliest civilizations around the Indus River. But mapping the Indian Sub-Continent has not been limited to the natural geographical features of the land, in fact, many earlier maps exist of the Indian Sub-Continent were made to mark the lay out of the routes to popular pilgrimage centres known as dhams from as early as the 8th century AD. These maps provide an interesting lens through which to view the Indian Sub-Continent by combining the natural features that delimit the geographical area of the Sub-Continent with the marks that Hinduism has made on the land. Many of the Hindu pilgrimages have been around for centuries. This point is illustrated by the fact that the land is filled with holy places. There are seven sacred rivers, including the Ganges. On its banks is Varanasi, one of seven holy cities, which itself is guarded by 56 shrines to Ganesha, the popular elephant-headed god. 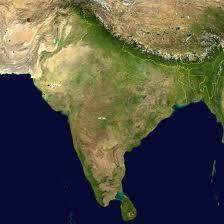 The body of Sati, a goddess, is said to be scattered at 108 sites throughout India. And 12 places across the country claim to have one of Shiva’s jyotirlingas—an immeasurable column of the Hindu god’s light. 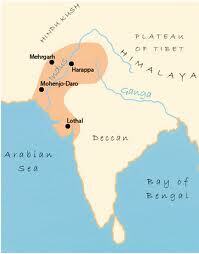 Interestingly the word "Hindu" is derived from the name of the river Indus, which flows through northern India. In ancient times the river was called the 'Sindhu', but the Persians who migrated to India called the river 'Hindu', the land 'Hindustan' and its inhabitants 'Hindus'. Hence the religion followed by the Hindus came to be known as 'Hinduism'. According to historians, the origin of Hinduism dates back more than 5000 years. Hinduism is commonly thought to be the oldest religion in the history of human civilization. It is generally believed that the basic tenets of Hinduism were brought to India by the Aryans who settled along the banks of the Indus river about 2000 BC. Hinduism does not have any one founder or any one core doctrine that is used to resolve controversies. Furthermore, it does not require its adherents to accept any one idea. It is marked by an attitude which is able to accommodate many different religious and cultural perspectives other than ones own. It is also characterised by a rich variety of ideas and practices resulting in what appears as a multiplicity of religions under one term 'Hinduism'. Perhaps one of the most important legacies of Hinduism is to allow the geographical area of the Indian Sub-Continent with its immense ethnic, cultural and linguistic diversity to be joined together.